Same old, same old and yet so new. 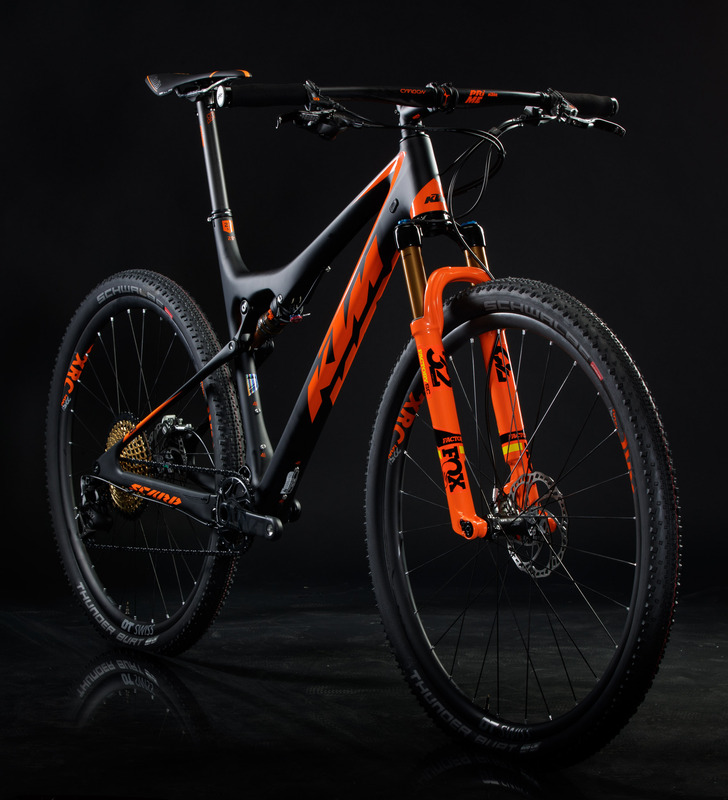 Since NoMan thoroughly inspected the then relatively newly-bred KTM Scarp in 2016, the political landscape has changed in some less and some more dramatic ways, the opponents of private transport have changed the concept of the 'evil enemy' numerous times and the industry has invented new seemingly indispensable standards, making our hard-earned and just paid for pretty bike drop out of the most wanted list pretty quickly. And the Scarp? 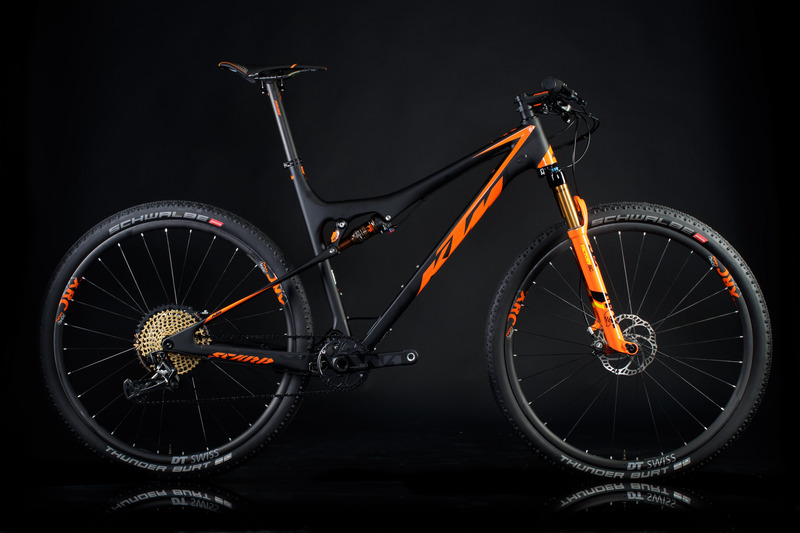 Well, it has stayed true to its race-oriented roots but has received a further weight optimized carbon layup and finest spec. Such fat-reduced top models are entitled to carry the byname Sonic in KTM's lineup. 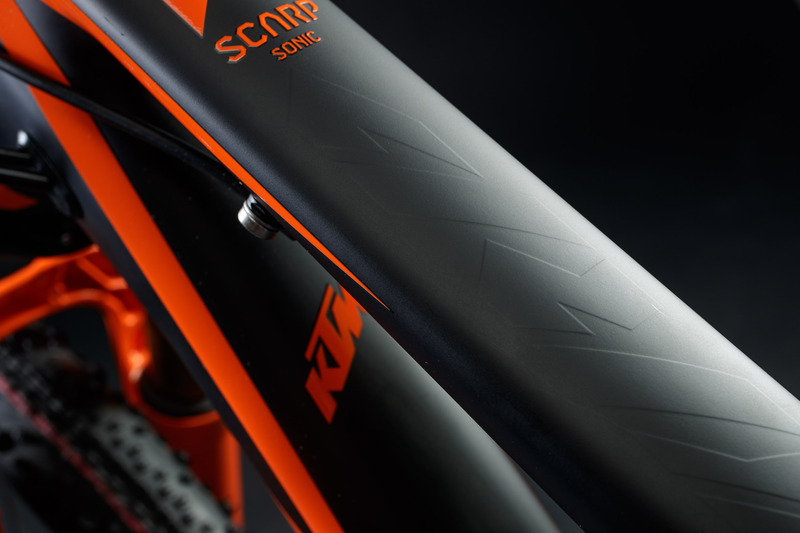 That's also the case with the latest Scarp Sonic 12. 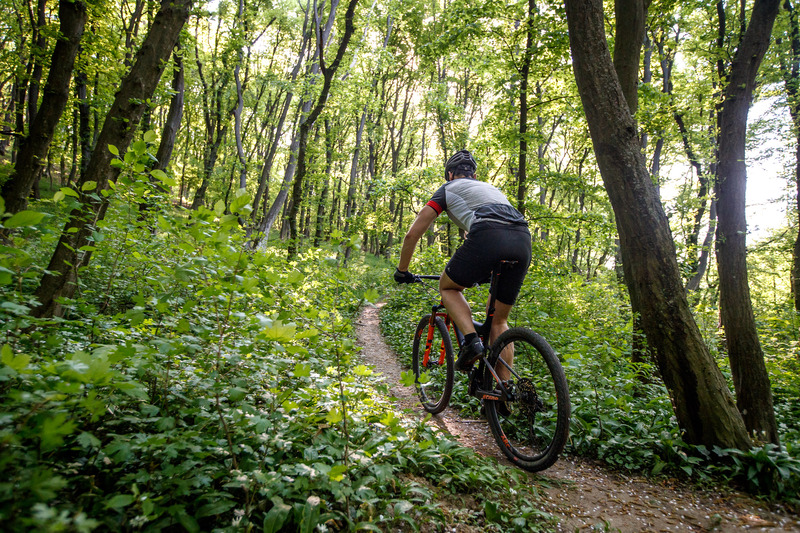 Basically it's the perfect weapon for challenging marathons – or maybe to have a modest friend not enjoy his elderly 26" hardtail that much anymore? In the name of forum science, the bosses decided to send out laboratory rat Tom to figure out how the KTM was performing for someone outside of the press world. As a passionate old-school alpinist I have always been a friend of the simple, purist and minimalistic designs. As a passionate old-school alpinist I have always been a friend of the simple, purist and minimalistic designs of (sportive) everyday life. 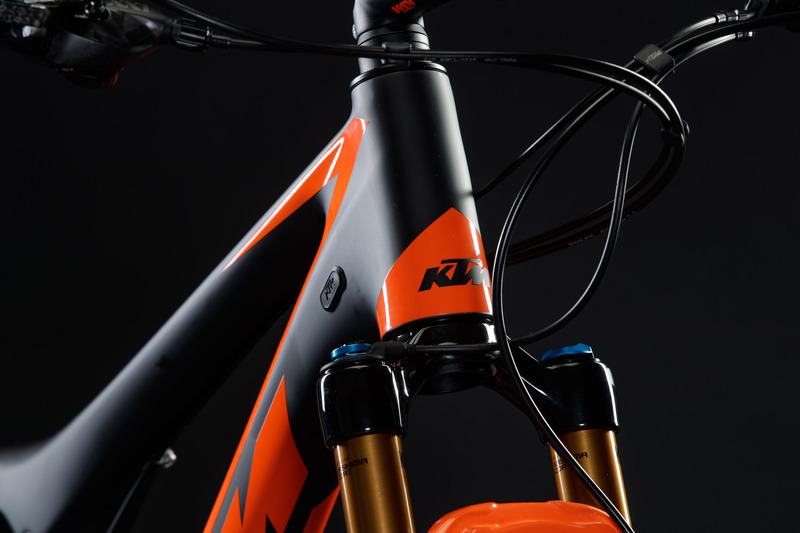 Especially in terms of material and equipment, on and off the mountains, I value simplicity - a requirement that the KTM already seems to fulfill, leaning against the transport box in a semi-built state. 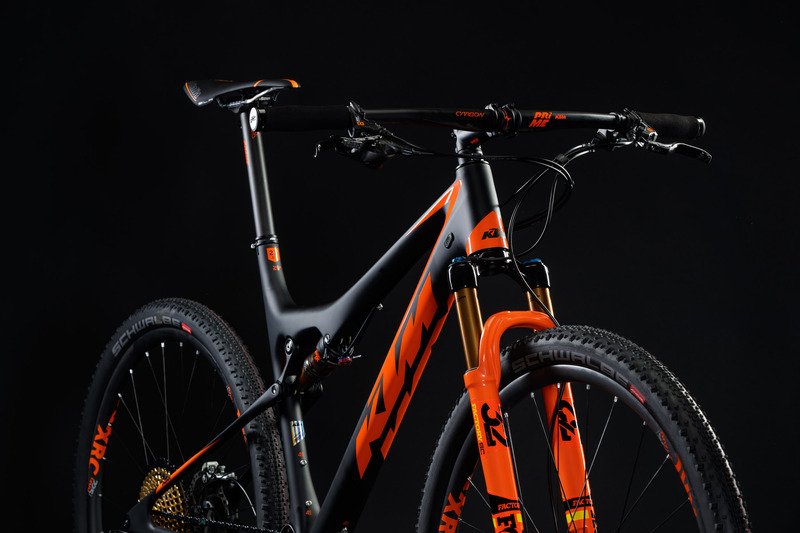 The Upper Austrians' typical bright orange is implemented discreetly over frame and components with considerably less dominantly placed logos than on other models of the Scarp series. 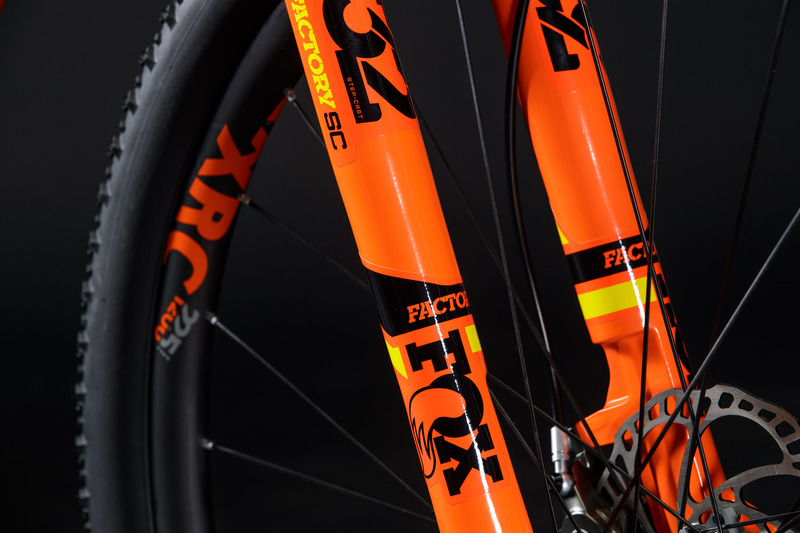 Even with its gold gleaming Fox suspension elements and similarly coated XX1 Eagle, the bike is blessed with a subtle sense of understatement. 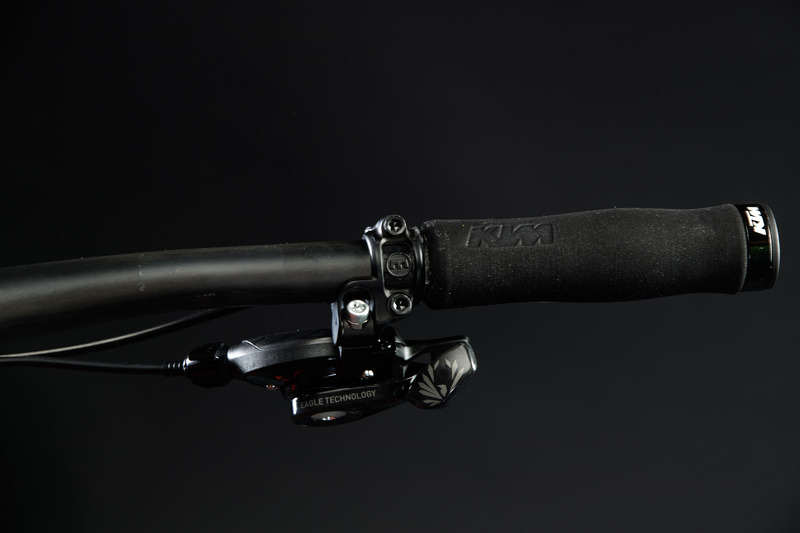 Then again, even the newbie quickly gets it, that the Sonic isn't your typical run-of-the-mill bike. 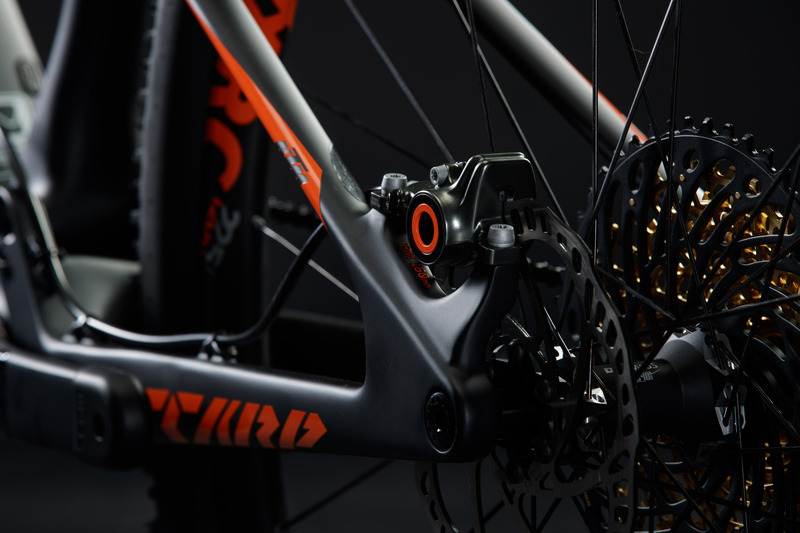 Introduced in 2016 and therefore in its third production year, KTM is building on its Straight Line Link (SSL) rear end with sporty firm 90 mm of travel. 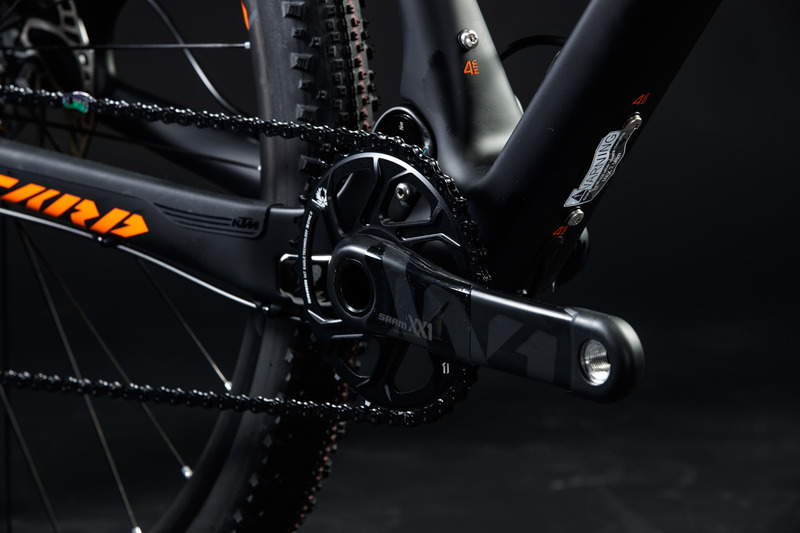 The system reduces the forces acting onto the frame, which in order allows for the developers to reduce the amount of material being used and save some weight. 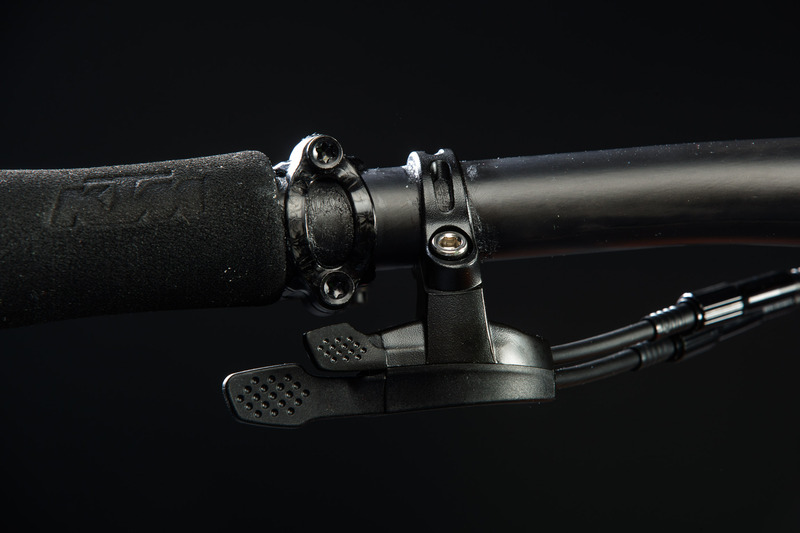 In addition, the fourth pivot point near the dropouts was eliminated and replaced by flexing seatstays. 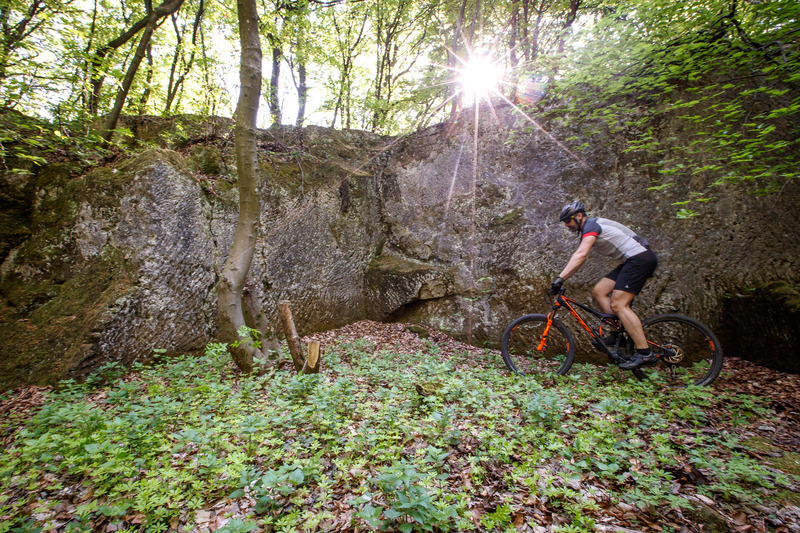 More info about that in our thorough test report of the 'regular' Scarp. 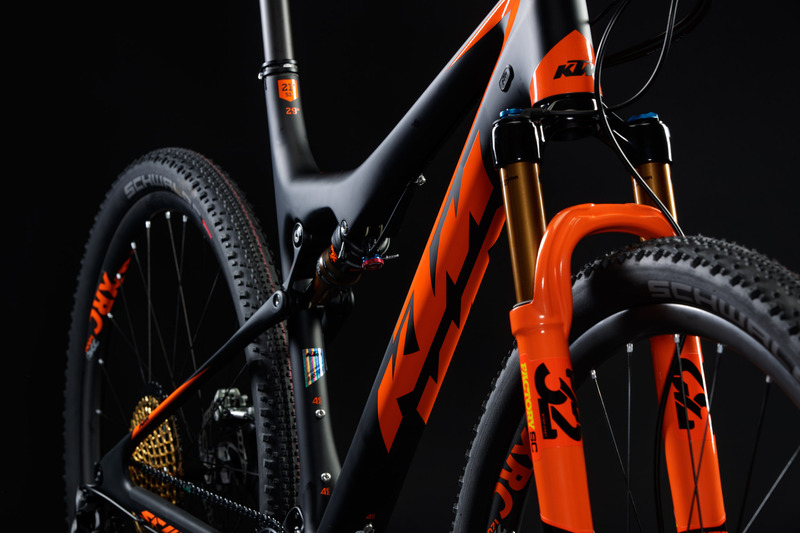 To further quench every bit of weight out of the frame, the engineers were given free reign to experiment with highest quality strands of carbon and new layups. The result? 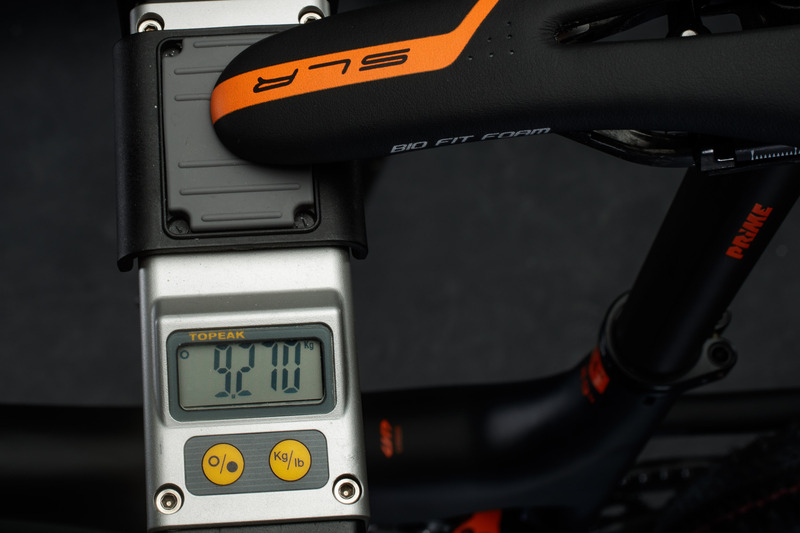 According to the manufacturer, the elegant frame hits the scale way below the 2 kg limit - at 1.750 grams. 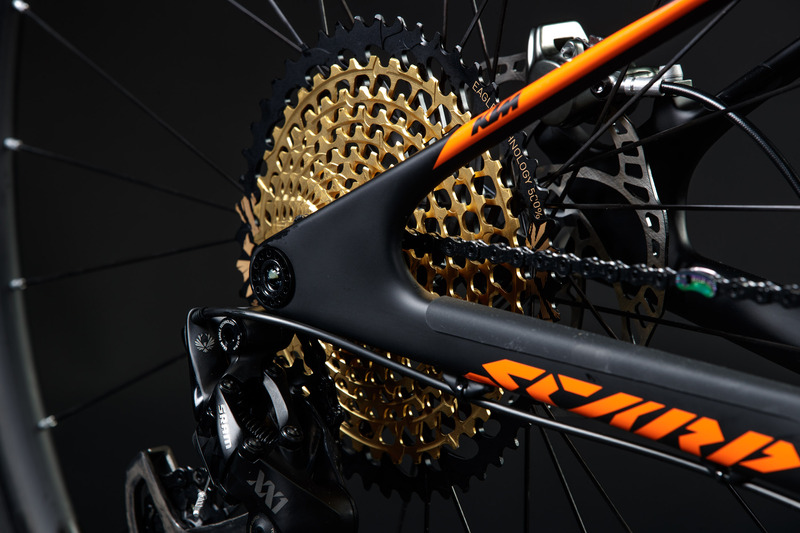 Added to that are some of the finest components a race biker can dream of. 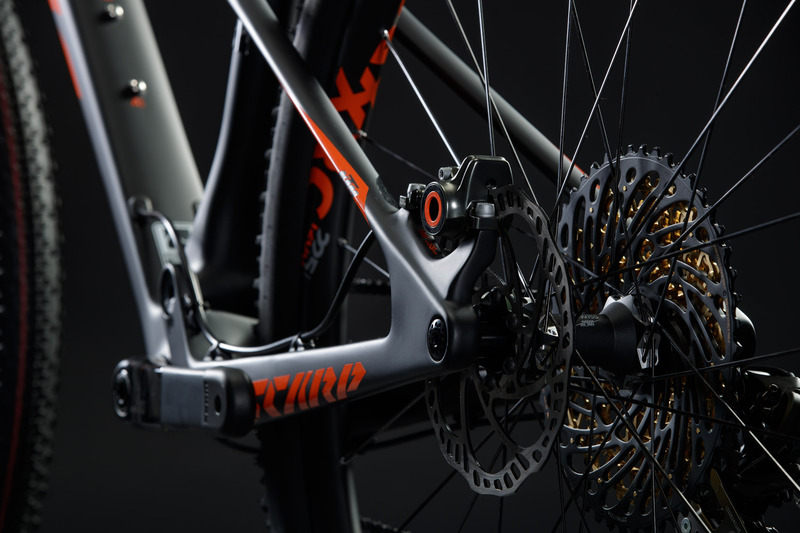 A complete Sram XX1 Eagle group as a drivetrain and Magura's slick MT8 with 160 mm rotors to slow the steed down are matched with Fox Float DPS and 32 Float SC suspension, both in high-end Factory Kashima coating, as well as KTM-labeled DT-Swiss XCR1200 Spline Carbon wheels. 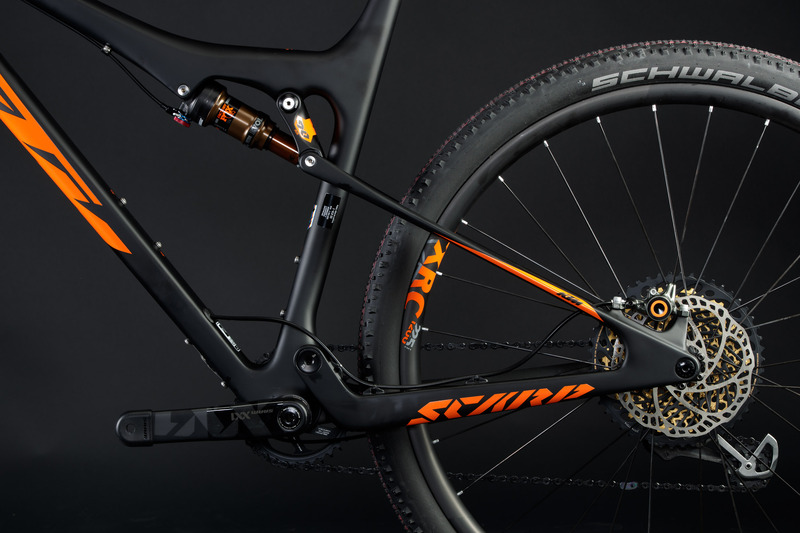 In regards to tires, KTM is overdoing their weight-watching routine a bit with Schwalbe's toothless Thunder Burt. 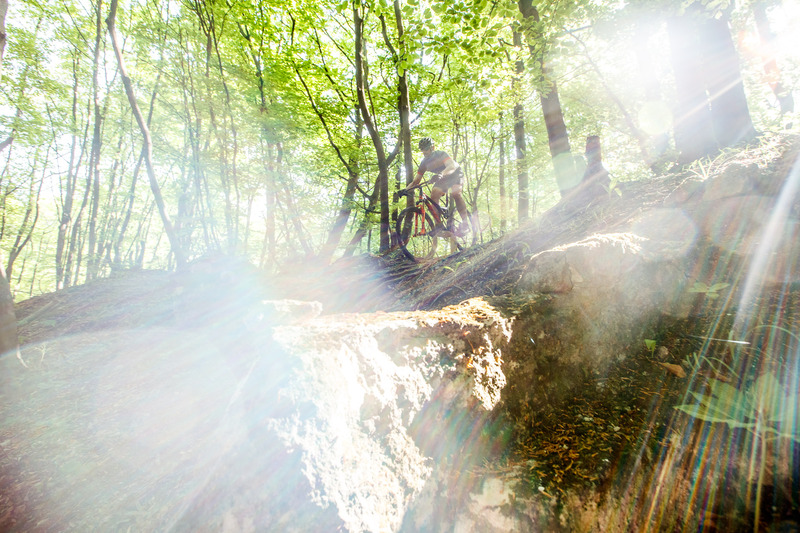 Beyond paved ways the featherweight feels quickly out of place. 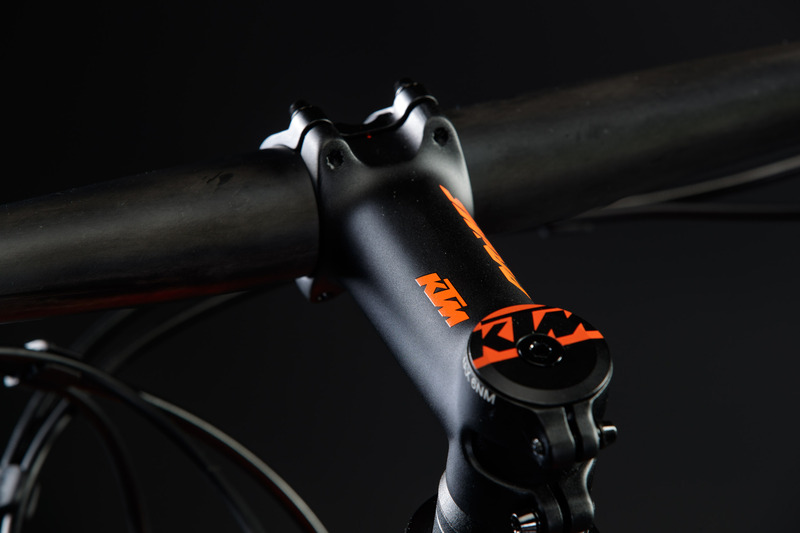 KTM's in-house handlebar, stem and seatpost round off the acceleration-friendly package. 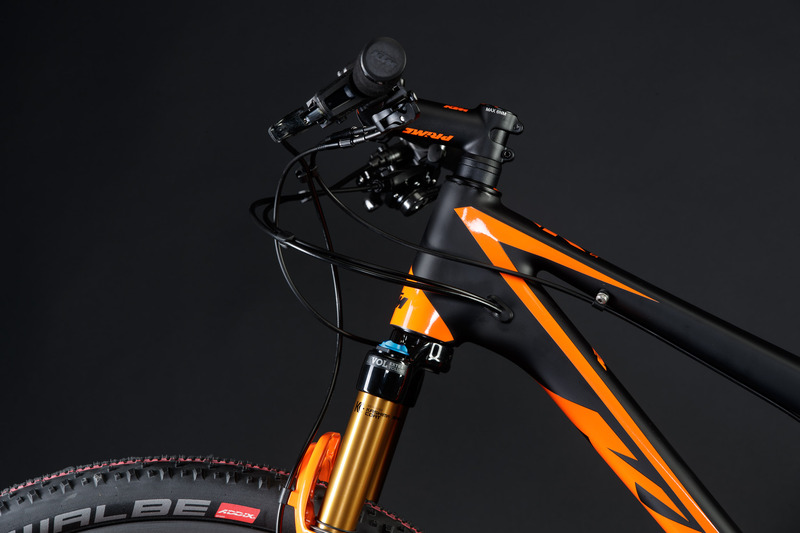 At least the cockpit looks very tidy, even with a remote lock-out lever for the fork and rear shock, thanks to the 1 x 12 drivetrain. 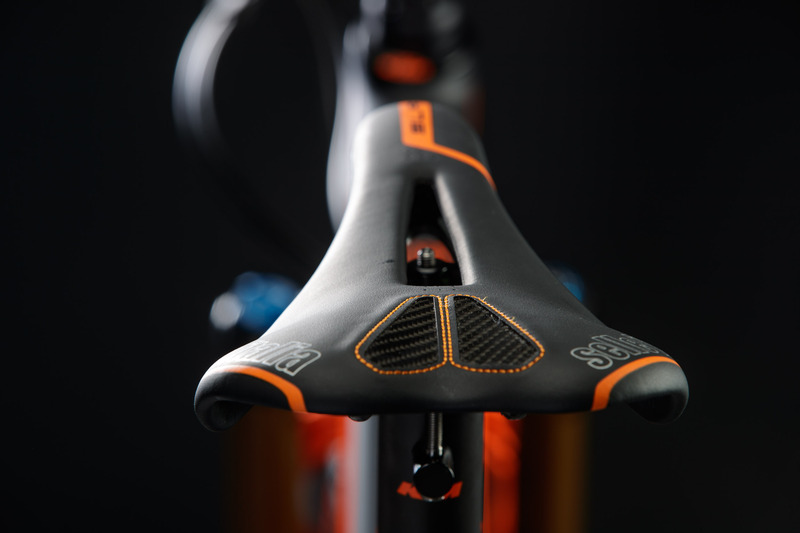 Also, there's comfortable space for two bottle cages inside the main triangle. 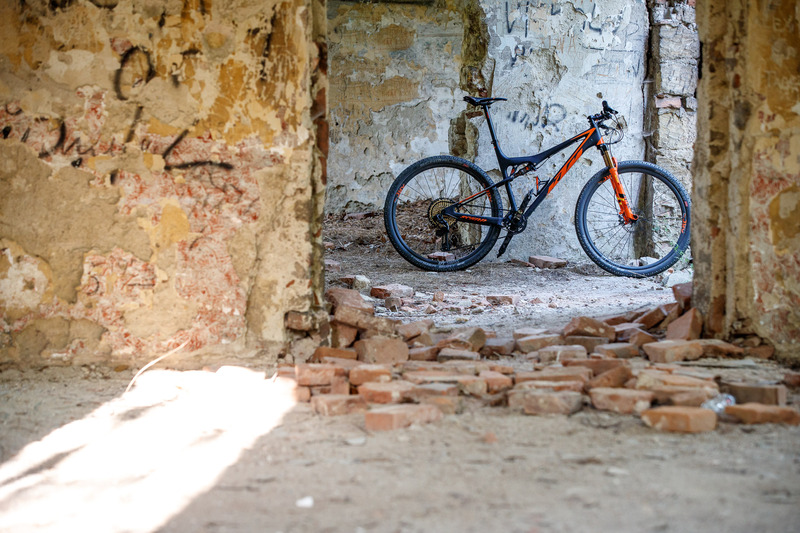 Lifting up the bike with just one hand it is still surprising – knowing that the bike only weighs 9.27 kg, having weighed it myself – how lightweight the Scarp Sonic really feels. 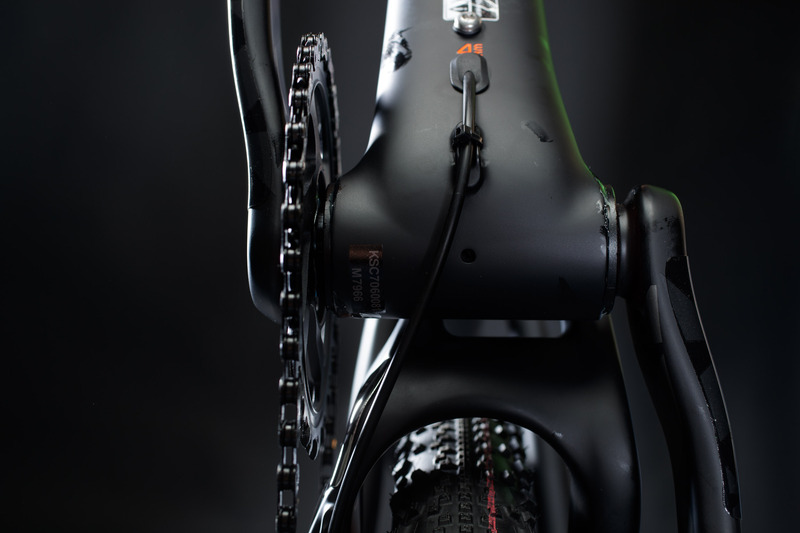 Especially, since we're talking about a full-suspension model with 29" wheels in size 53. 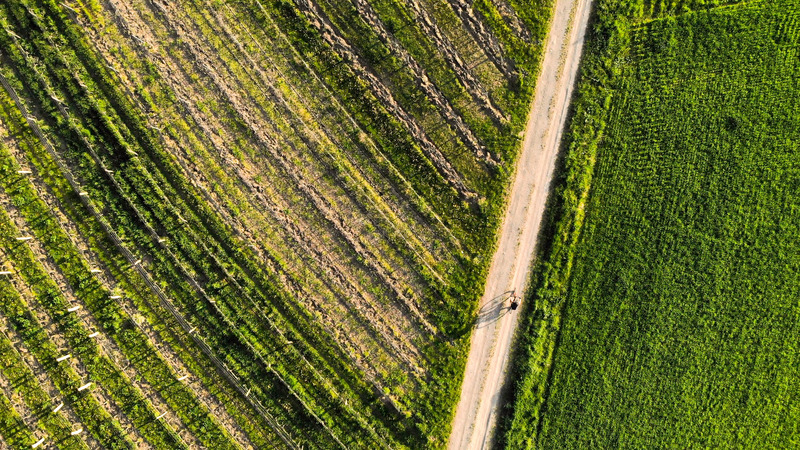 Finally, with the first kilometers under my belt I can't resist the feeling that there's this 'nothing' of a bike under my feet. I savor the nimble acceleration, high maneuverability and everlasting drive to push forward. 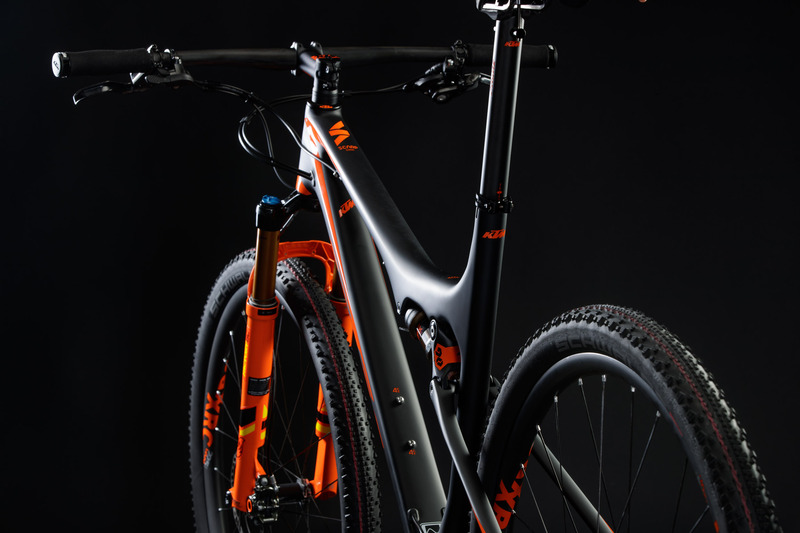 Narrow bar, long top tube and in sum a relatively stretched seating position with a pretty steep head angle – the Scarp Sonic sounds like a real racer on paper and also rides that way. 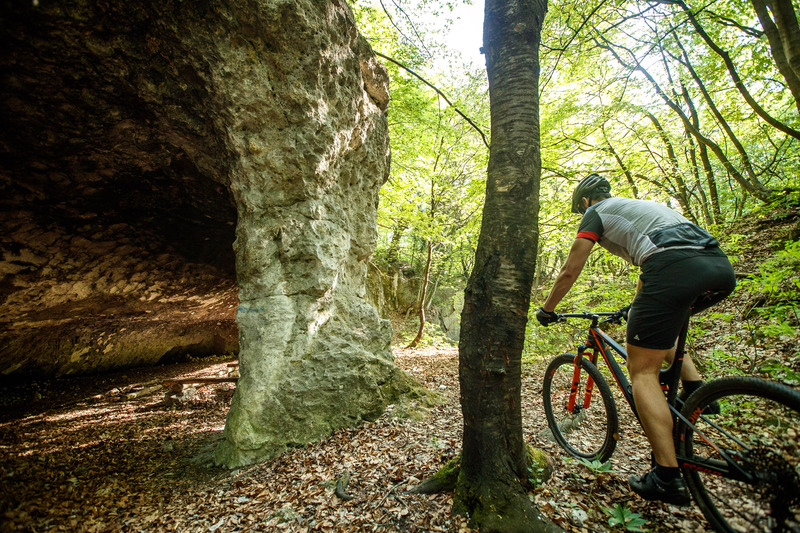 But even with this sportive orientation it's possible to find a surprisingly comfortable position on the bike. With a size of 1.92 m I'm usually at the dark end of the comfort scale but with the size 53 frame (the largest one available) I was quickly happy with my setup. People a few centimeters larger would probably also be happy, those larger than 1.95 meters might start feeling cramped, though. 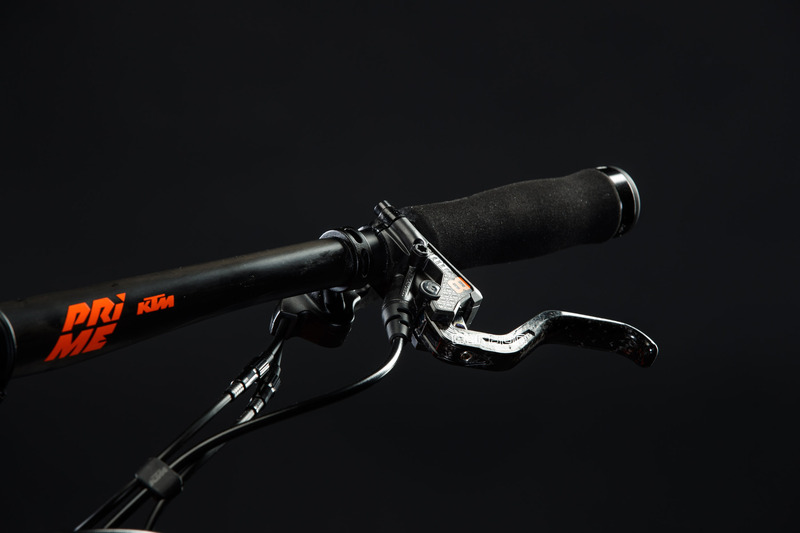 Especially fine in flat areas and on smooth climbs: the intuitive and easy to work handlebar lockout. 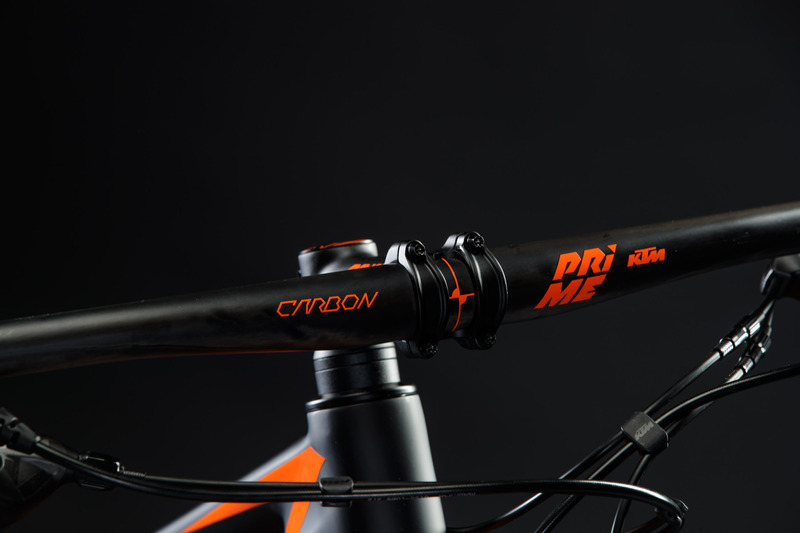 Yes, it's good form by now for a bike like this to be equipped with one, to me it's still worth mentioning not having to mess around at the fork and rear shock but being able to simply smoothly pick between 'locked' and 'fully open' suspension function with my thumb. 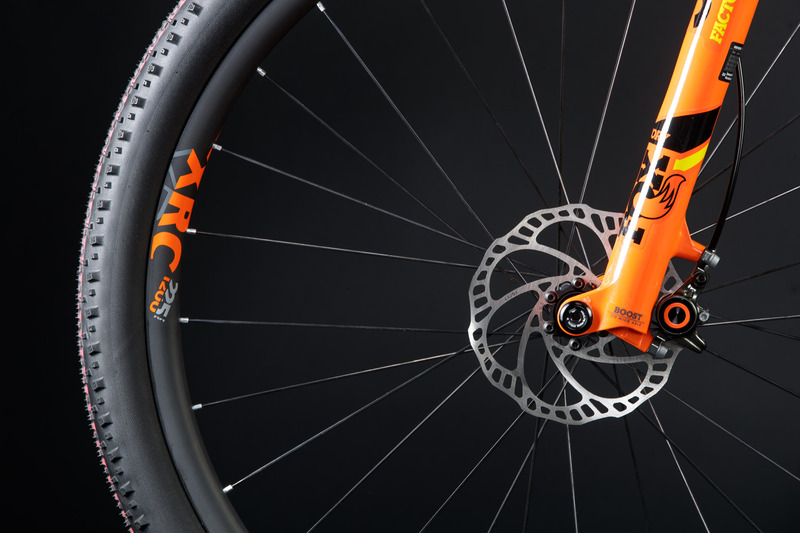 With lockout activated, the Scarp almost handles like a road bike on gravel and flat stages. 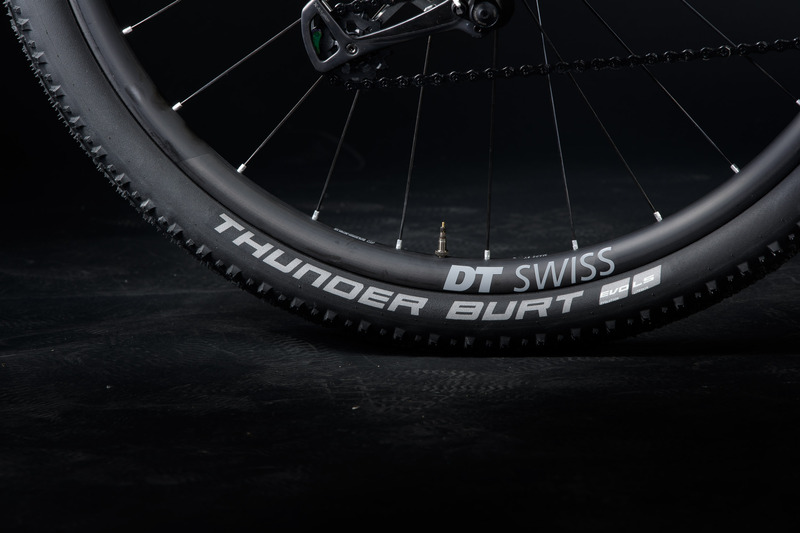 No trace of wattage introduced to the system seems to get lost and the quickly rolling Schwalbe Thunder Burts show their full potential. 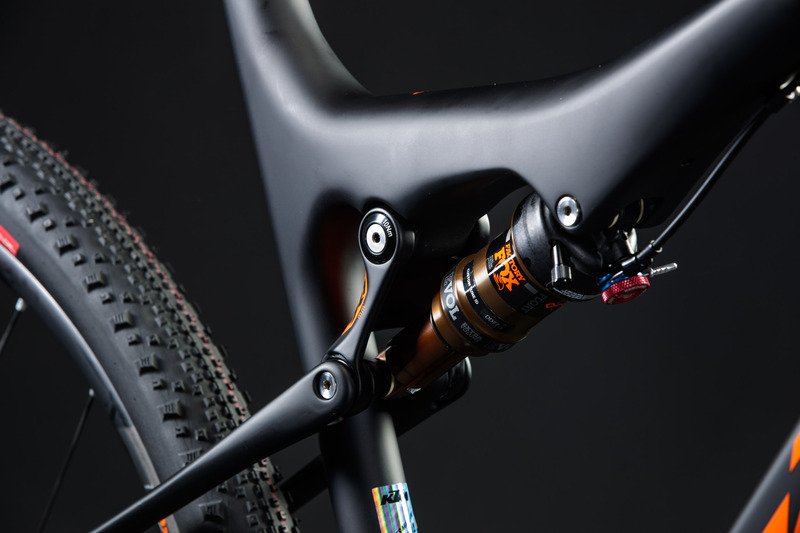 In their open state, rear end and suspension fork soak up smaller and bigger bumps well, with the SLL system always slightly in motion but never influencing the pedal movement in a negative way. 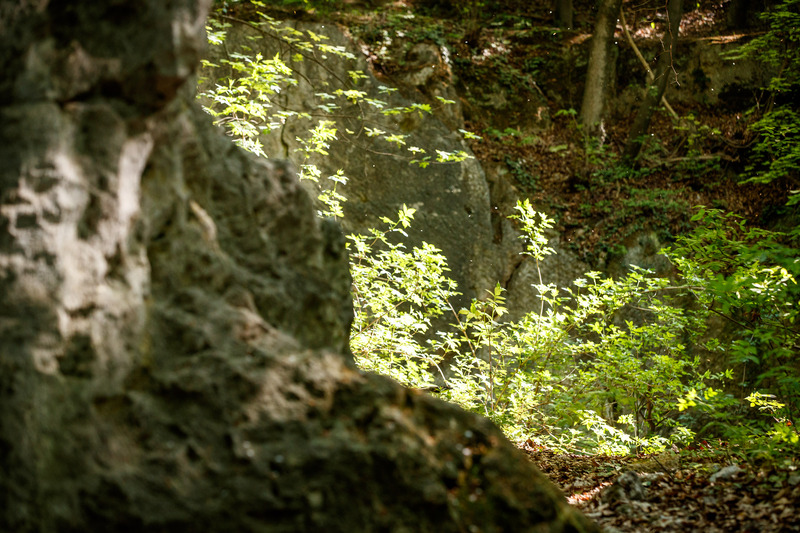 The sensitive rear end is able to deliver lots of traction this way – way more than the narrow-chested Thunder Burt would ever be able to transfer off-road. But tires are quickly swapped out and more than one great alternative easily available. 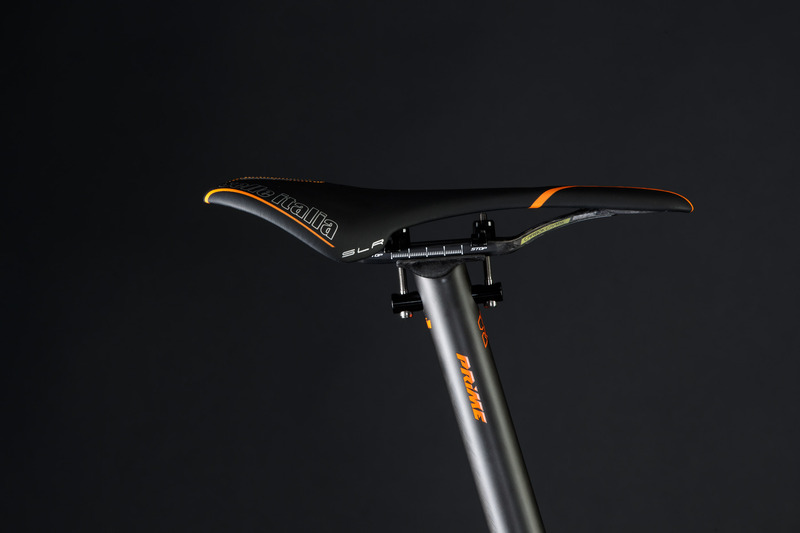 And since we're talking about alternatives: the Scarp's handlebar and stem (don't just) twist noticeably while hammering out of the saddle. 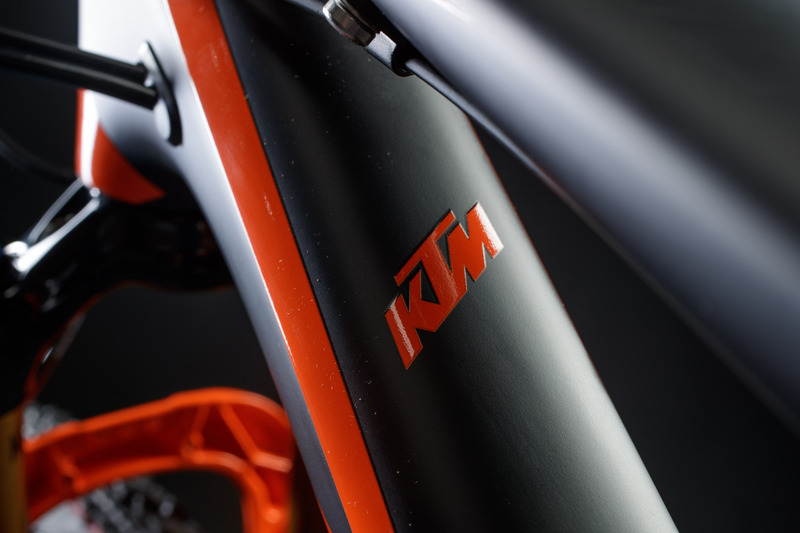 KTM might have tried to raise the level of comfort even higher with its branded components – or someone simply cut corners. 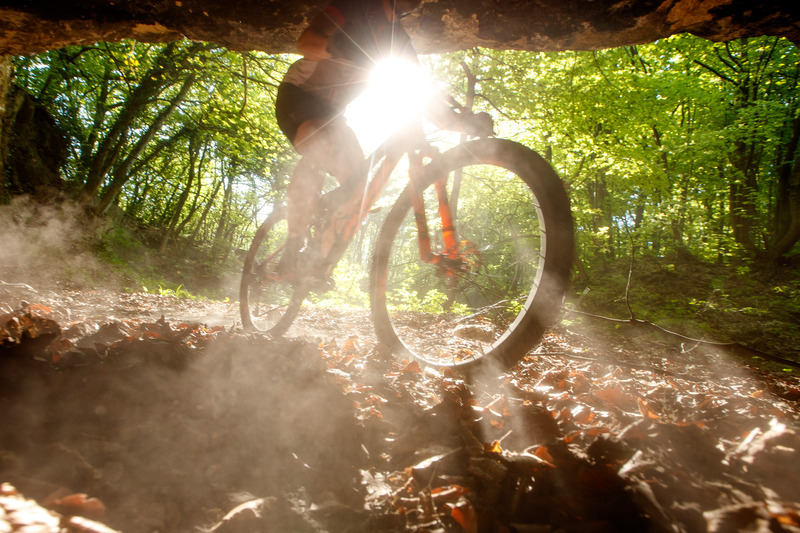 Heavier riders are well advised to upgrade to stiffer components. 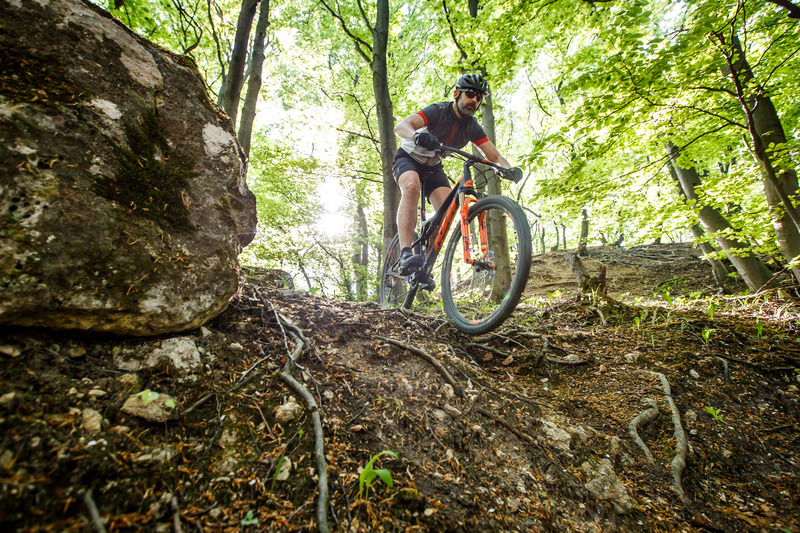 If the speed is picking up and the terrain becomes drastically more technical and steeper, the line between maneuverability and nervous handling turns into a balancing act. In this case also, a swap of the tires should help the overall performance. 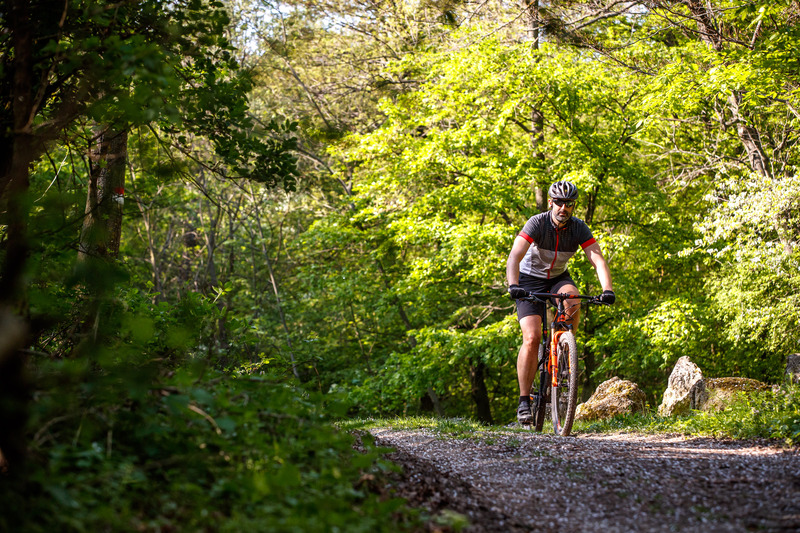 Particularly as the rear end is using up most of the travel already on smoother trails, although it never feels like blowing through the travel or bottoming out hard. 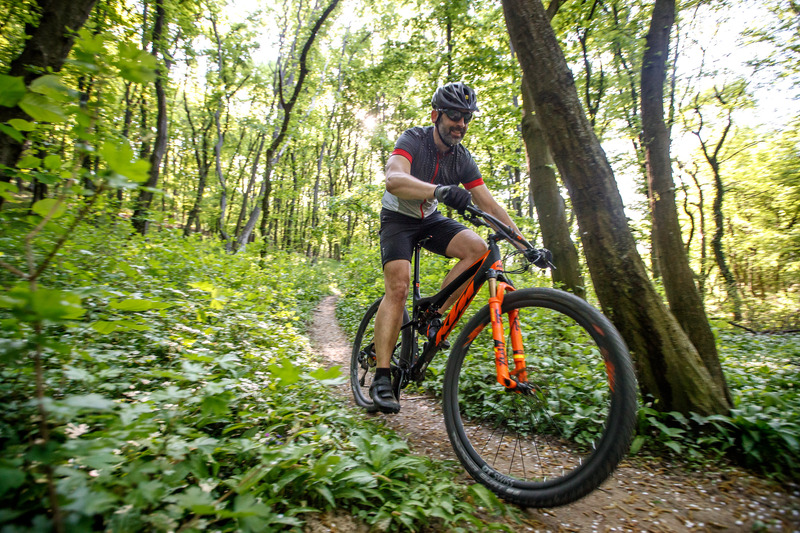 The fork and MT8 brakes always provide the feeling of having reserves left – a definite plus in safety for all types of riders. 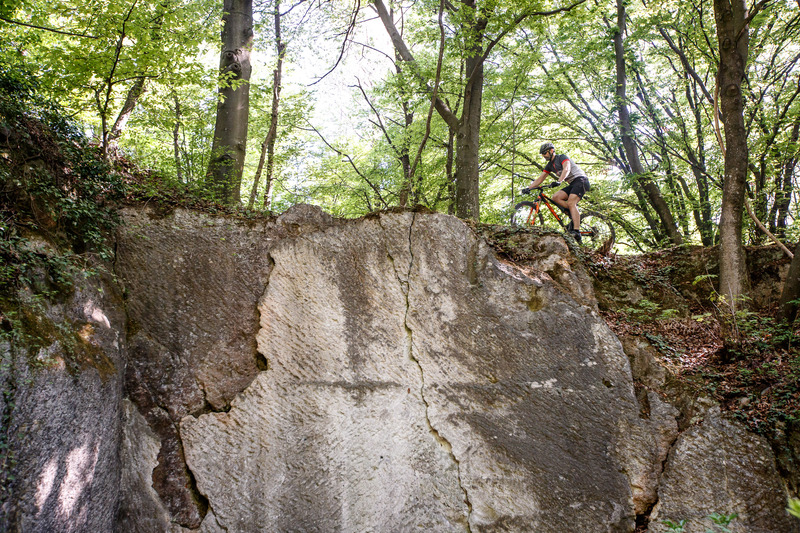 So there's potential in the downhill segment. 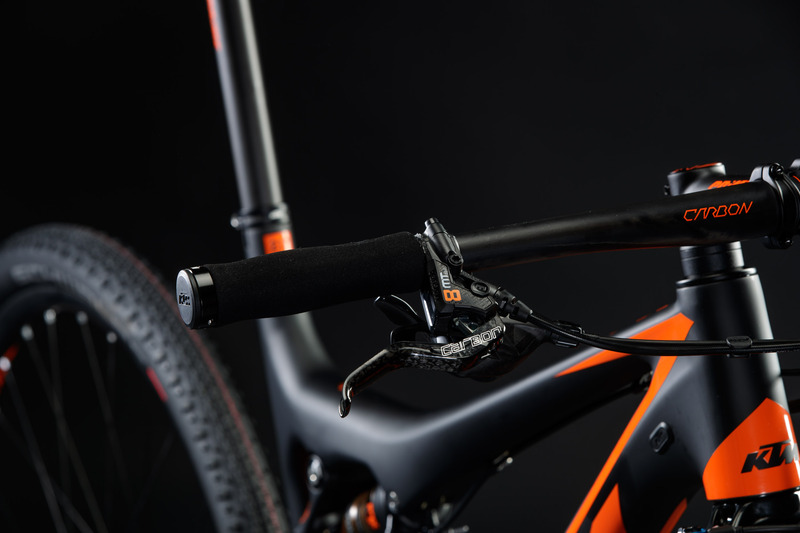 Potential that less technically inclined riders would also find in a telescopic seatpost. 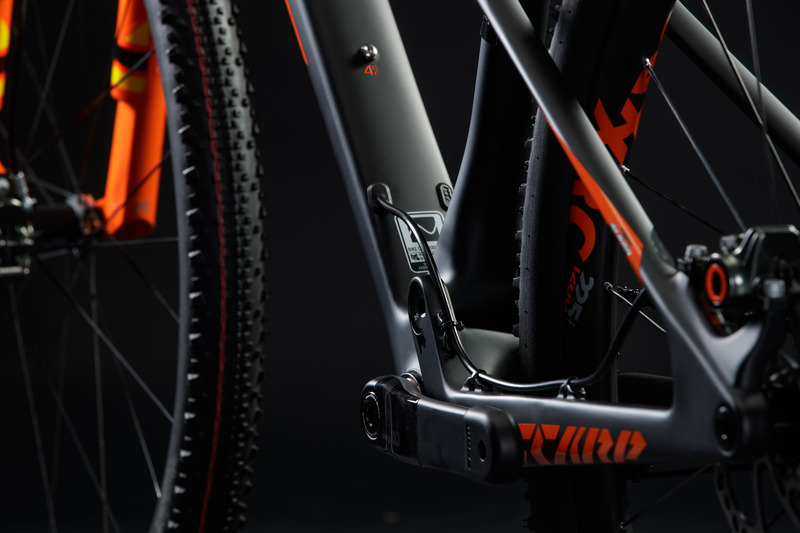 The Scarp's frame is prepared with internal cable routing just for that reason. 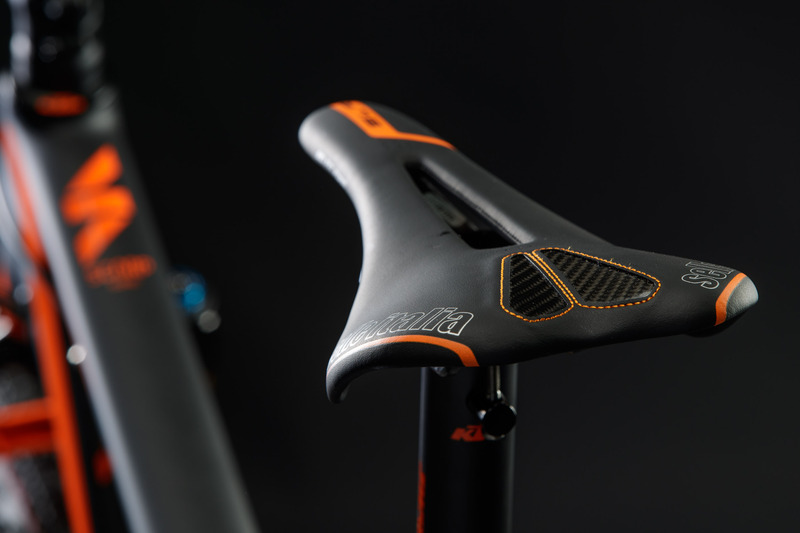 The thoroughbred's true calling however will always be acceleration and the 'lightness of being' – which usually doesn't match well with a dropper post. 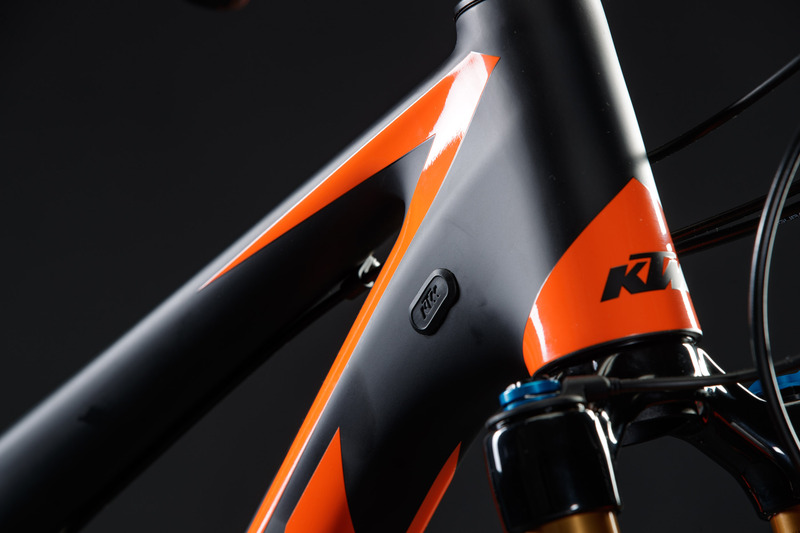 Although: for a race bike the KTM proves to be surprisingly suitable for everyday life. 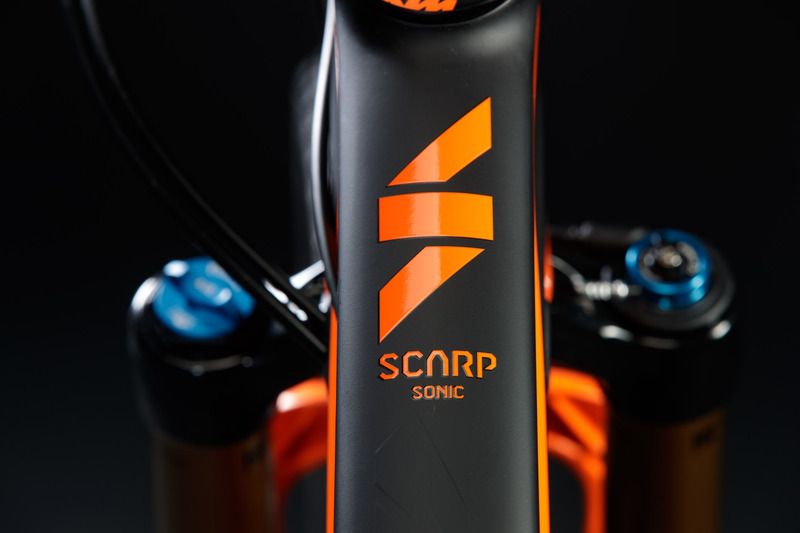 A character trait, which is making the buying decision for a conservative bike monogamist as myself somewhat easier, especially with a price tag like that of the Scarp Sonic. 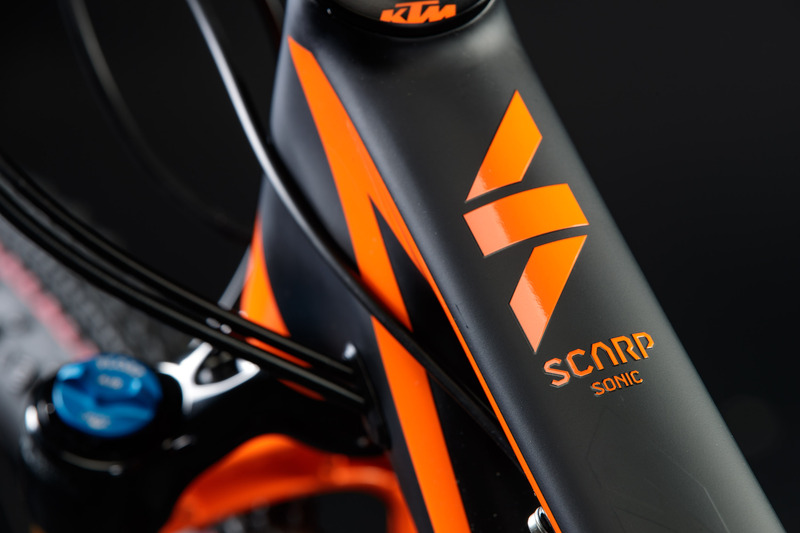 The boring and for a bike of this class totally unworthy commute to work or the relaxed trip with the kids to the playground are tolerated by the Scarp Sonic without any bickering. 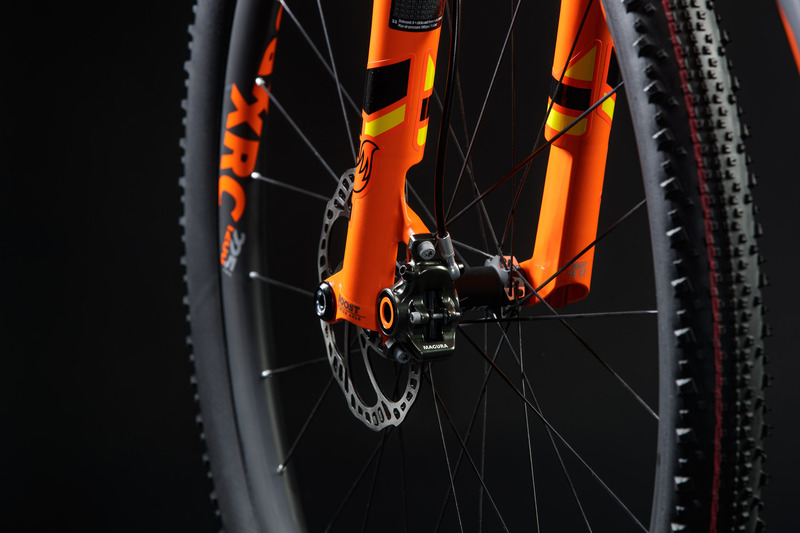 The noble XX1 Eagle also compliments the bike’s versatility. 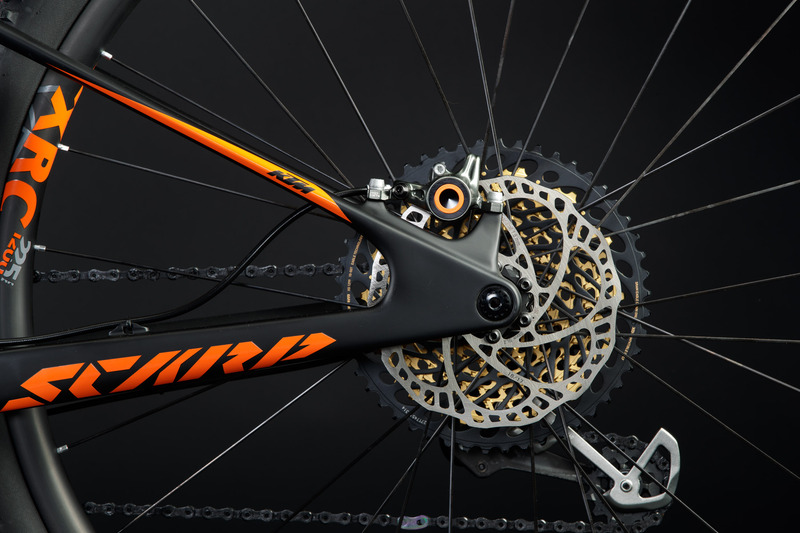 It surely isn't easy on the wallet, once it comes to replacing parts due to wear, but the enormous bandwidth of the drivetrain sure comes in handy. 34 teeth on the chainring coupled with the plate-sized 10-50 teeth cassette didn't let me, as a declared hobby biker, notice a negative difference between my trusty old 2 x 10 or 3 x 9 gearing, even at steep alpine inclines. 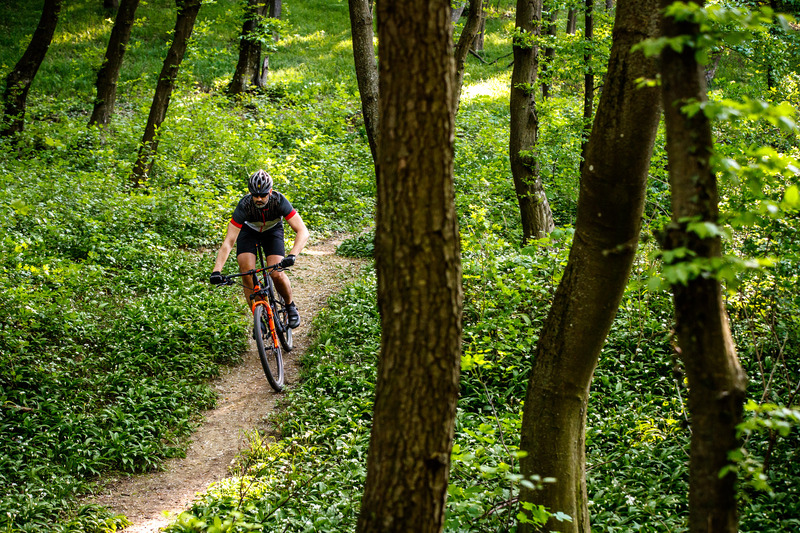 Apart from that, if the mountains are truly calling for constantly steep terrain and lightweight alone is not enough, you're still able to downsize the chainring. 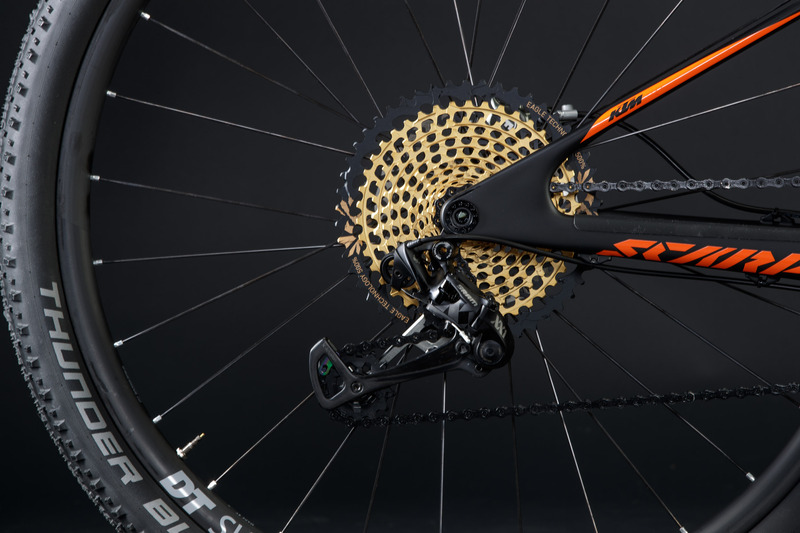 BB-verdict: Incredibly quick race thoroughbred with everyday usability. 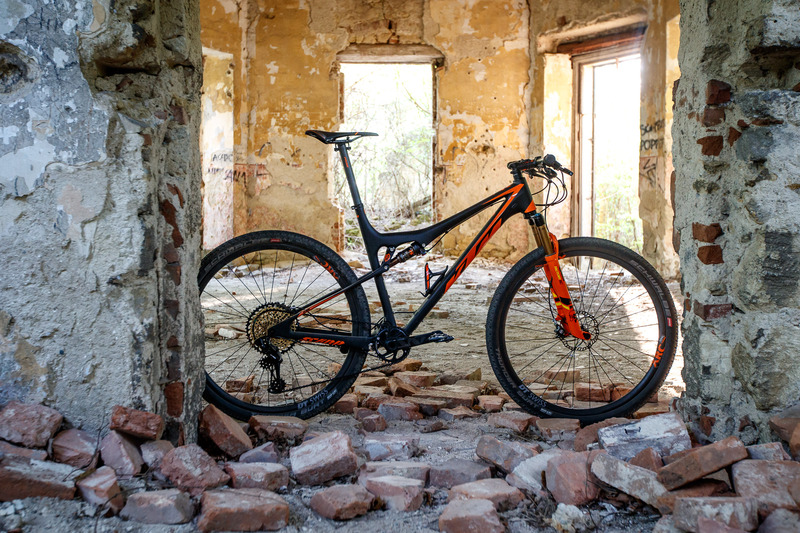 Even for hobby bikers like me the KTM Scarp Sonic is an absolute dream bike that doesn't leave much room to hope or wish for optically and technically. 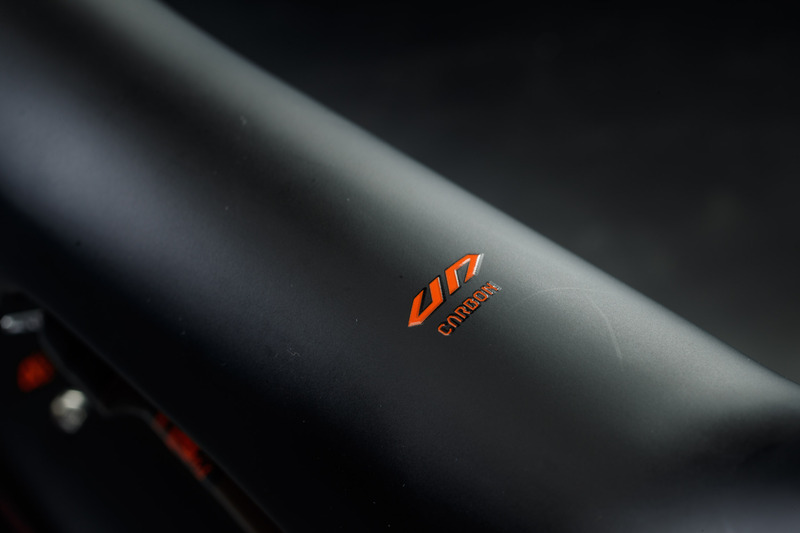 Fine components, top frameset and a sportive, race-heavy geometry with enough of a comfortable touch. 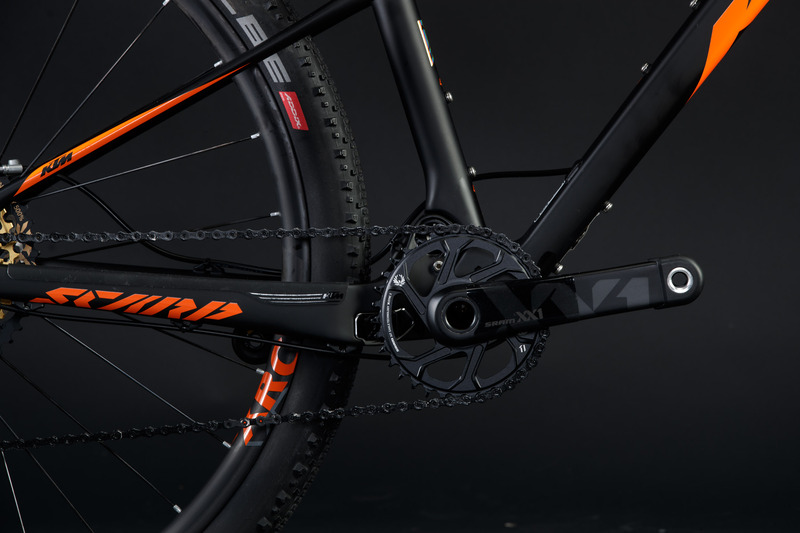 Uncompromisingly trimmed to shave weight, the Mattighofeners may overdo it for some everyday riders in certain details - especially regarding the quickly rolling tires with somewhat poor grip and a rather soft cockpit. 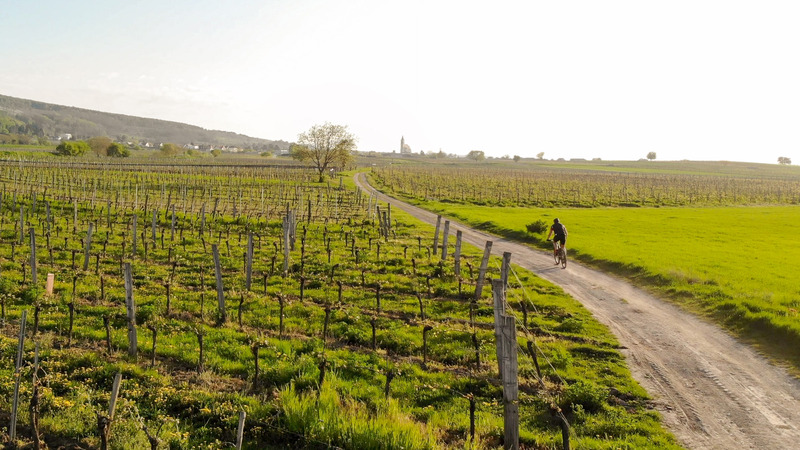 The rider is rewarded with an enormous forward drive at any time and asks for more and more hours in the saddle. 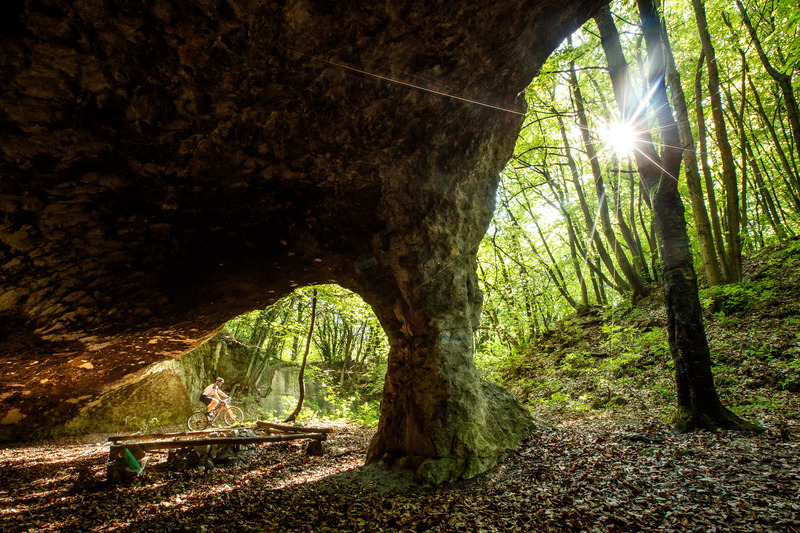 The Scarp gives plenty of reason for just that - from the quick lap around your house over extended tours and long marathons to the boring way to work. To me, grabbing a fully on my favorite tracks is less due to its advanced handling on downhills. 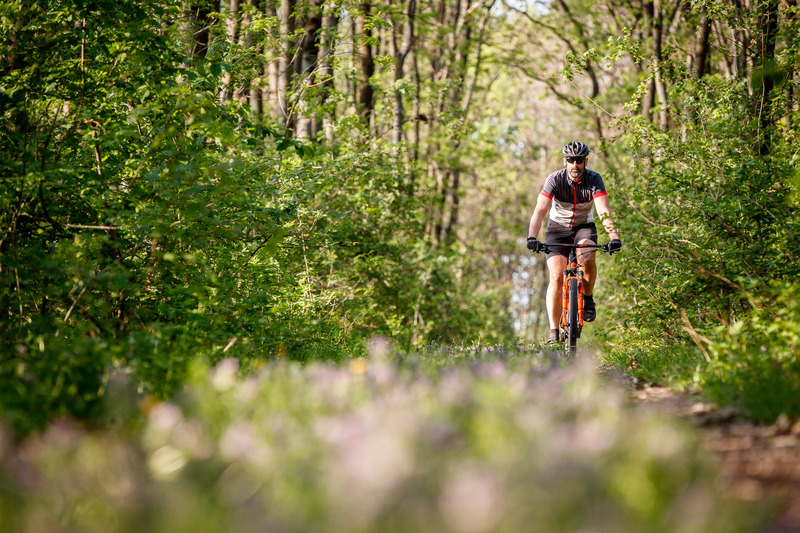 It's more the added comfort on longer rides, which at the same time becomes an argument against the hardtail. 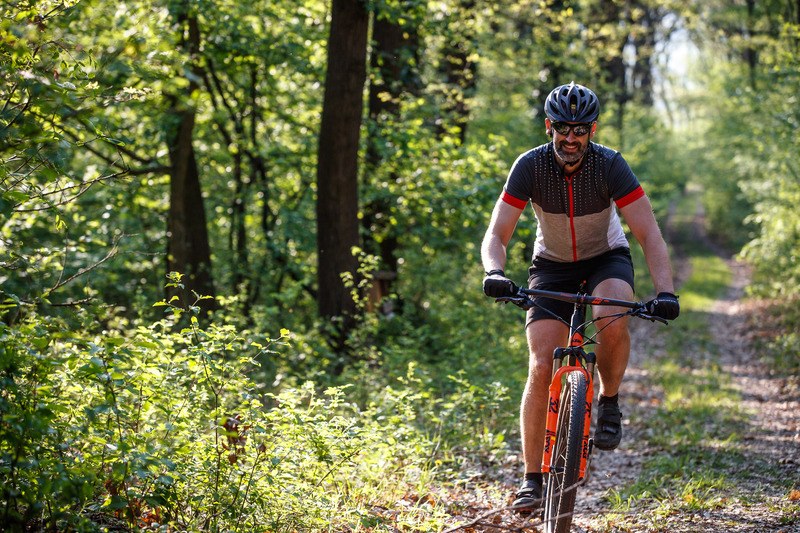 When comfort rolls along in such a light as a feather and agile package, it sure becomes tempting for a rider like me.